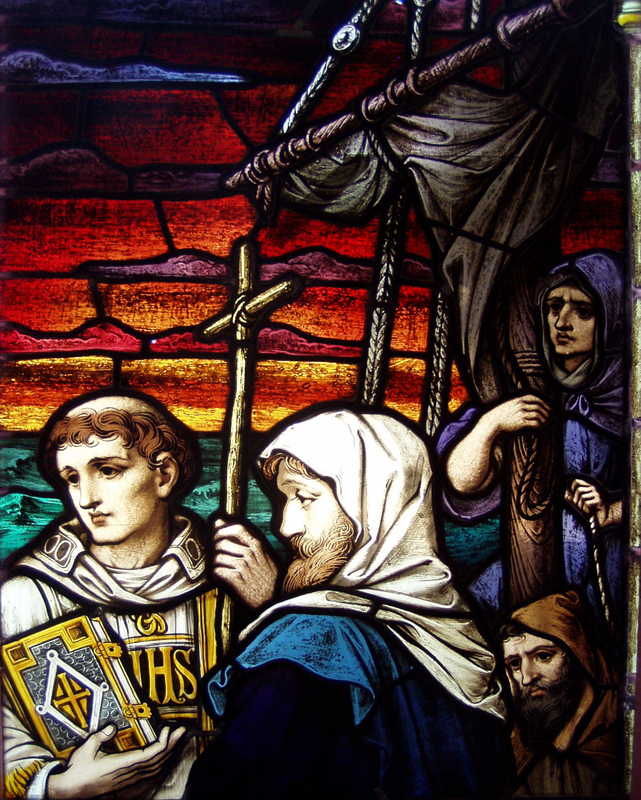 100 year old European-made stained glass with kiln fired vitreous (glass) paint applied in several layers, damaged by vandalism, with flecks of origninal paint lost. New stained glass replica of original piece by Durhan Studios, with kiln fired vitreous (glass) paint applied in several layers, replacing broken original seamlessly. Firing in the glass kiln at the proper temperature and for the proper time to fuse the paint permanently to the glass. 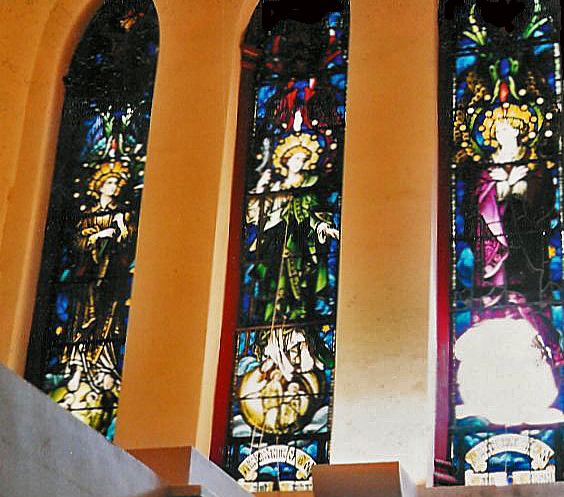 ↑ At the Church of St. Patrick in Glenn Cove, vandals broke through the bottom panel of the angel on the right in this triple set of Gothic lancet windows. In this detail of the breakage you can see that only about half of the original circle design could be retrieved. 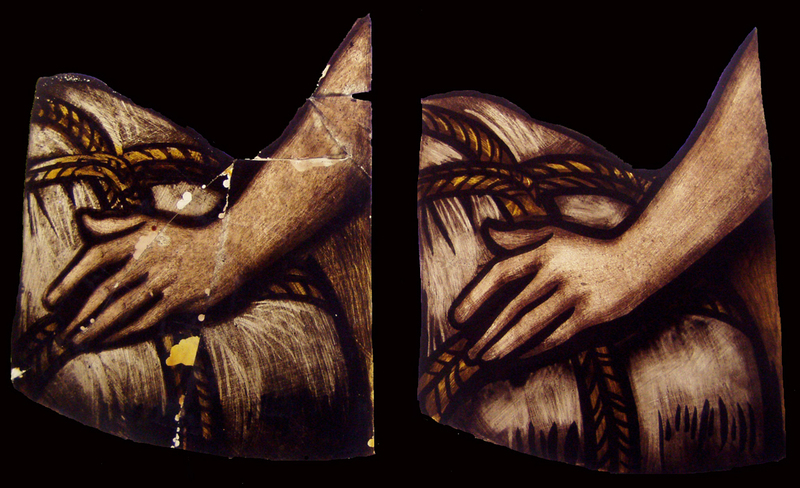 Based on the other original panels, and with comprehansive knowledge of traditional religious symbolism , Durhan Studios "filled in the blanks" and recreated a compatible image to the other windows using new and original pieces. Here is the finished replication and repair of the damaged window. New pieces include one of the angel's feet, portions of the undergarment, and parts of figures in the scene on the round image upon which the angel stands. Also at St. Patrick's Church, another window in a slightly different style was also damaged by vandals. 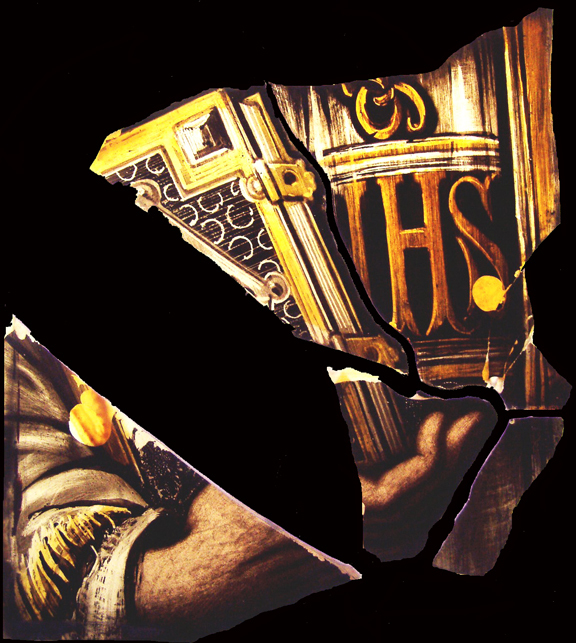 In this case, a figure holding a sacred book against liturgical vestments was broken apart with several important pieces missing. 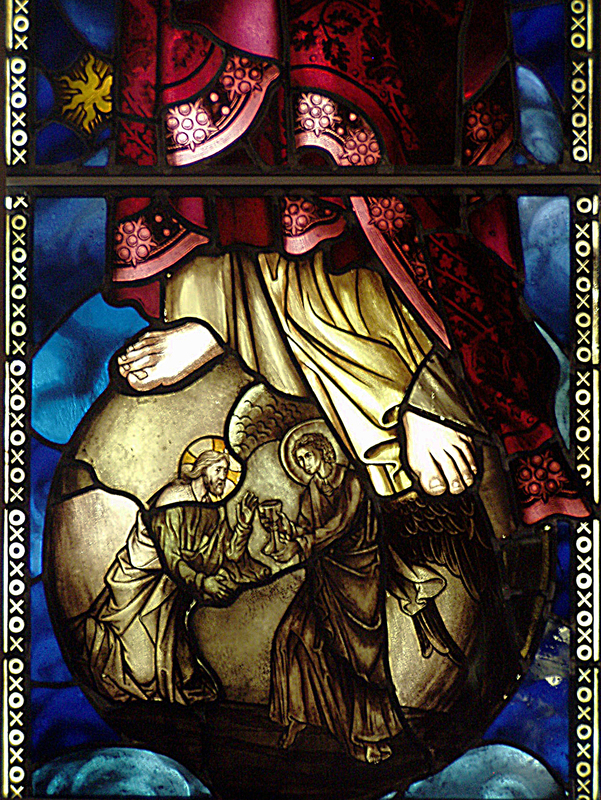 The original glass pieces that were damaged by vandals. New replicated pieces set into the original window.